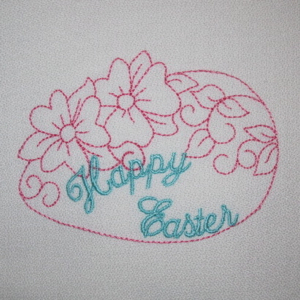 Quick stitching, sweet and simple! This Easter egg stitches up so fast you'll have time to decorate everything from from towels to napkins, and even a beautiful border for your tablecloth, mix up the colors for a beautiful compliment to your dining table or runner! Try this egg in a variegated thread for a colorful look.